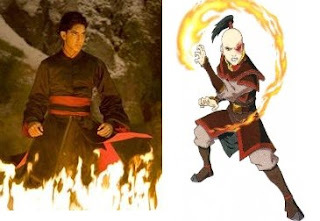 Besides Sokka, Zuko is my favorite Avatar character and I can't wait to see what Dev Patel does with him. Sorry, but I have no interest in seeing this movie after learning the Asian main characters will be played by Caucasians. I don't support white privilege. I felt the same way too but the actors have been recast. Dev Patel isn't white. This is a good career move for Dev Patel, he's diversifying his resume from sweet guy in Slumdog to a villain in Avatar. I've been excited about this film for a long time, since I found out that James Cameron was directing and that Zoe Saldana would be in it. @Kwinnky, the cast isn't completely white, if you take a look at the IMDb listing you'll spot names like Michelle Rodriguez, Laz Alonso, Wes Studi and some others. But with that said the filmmakers could have made more of an effort to cast Asian-Americans in the roles. And some more Native Americans too because from what I'ved read the mythos was based on Inuit culture too. Whoops...I was mixing my movies together. 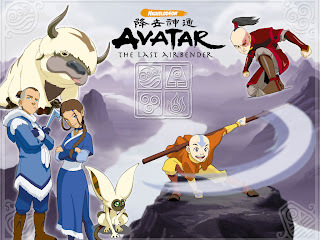 I was thinking about Avatar.